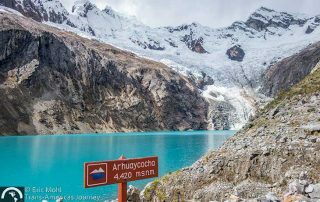 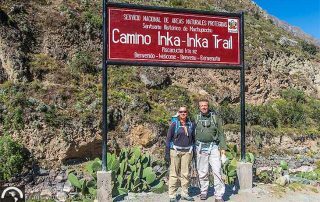 Travel posts about exploring mountains in North, Central, and South America including mountain drives, hiking, camping, and trekking in the Rockies, Andes, Cordillera Blanca, and more. 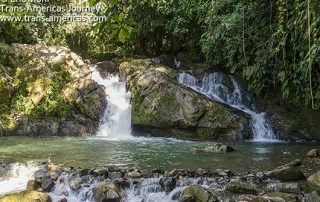 Easy eco escapes from Medellin, Colombia that get you into nature fast including Rio Claro and Tierra de Agua Eco Hotel. 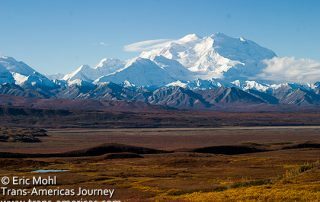 President Barack Obama reinstates Denali, the original name of this iconic mountain in Alaska, replacing the name Mount McKinley which was imposed on the mountain in the 1800s. 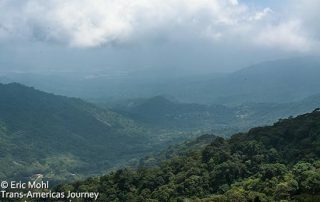 Find mercy from the Caribbean heat of northern Colombia with some camping in the mountain town of Minca. 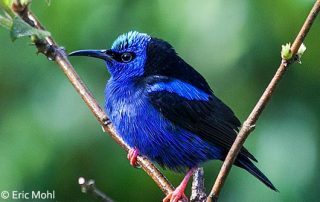 Travel to Boquete, Panama where the bird watching is almost too easy as this photo essay of the colorful and plentiful birds of Boquete proves. 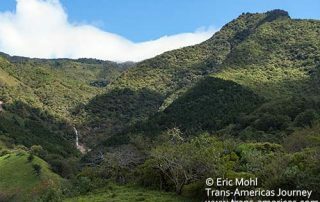 The cloud forest in the hills above Metapán, El Salvador are home to Montecristo National Park, Cascada Limo, and dinosaur bones. 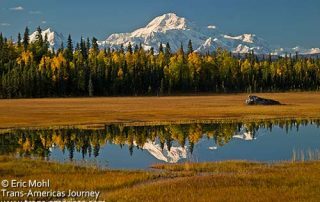 Our unusual shot of the south side of Mount Denali, sometimes called Mount McKinley, taken from a vantage point known almost exclusively to locals.